COP21, the “Conference of Parties”, is the 21st United Nations Conference on Climate Change. It is being hyped as the most important climate event since COP15 in Copenhagen, which produced the Copenhagen Accord — a political agreement that was deemed by many to be a failure. Here Yoshitaka Ota, Nereus Director (Policy), and William Cheung, Nereus Director (Science), discuss whether these negotiations will be successful, what’s at stake for the future of the world’s oceans, and what else can be done to mitigate the effects of climate change. Why is this year’s event so important? William Cheung: This will be the one to set the limits. The target is to lower global warming to a 2 degree Celsius increase by the end of the century. Current projections have the increase at 4 to 4.5 degrees. A 2 degree increase is the point where we can avoid major risk. Yoshitaka Ota: This is the time when the global community has to come up with a consensus — south and north, developing and developed countries. We have to move forward beyond natural and regional interests. Do you think this commitment is possible? Cheung: It will be difficult but we need to make every effort to achieve that. Before the discussion, there was an invitation to each country to submit commitments to reduce their CO2 emissions. But if we sum up all the existing commitments, the estimate is that it will reduce global warming to 3.5 degrees by the end of the century, which will lead to major impacts on ocean ecosystems and their goods and services. Thus, the current commitments by the countries are not sufficient. There is still a major gap to fill. It is a challenge that all the countries should recognize and resolve in this meeting. The effects of climate change are expected to impact developing countries the most, where there is often a large dependence on fisheries and where adaptability is more difficult. 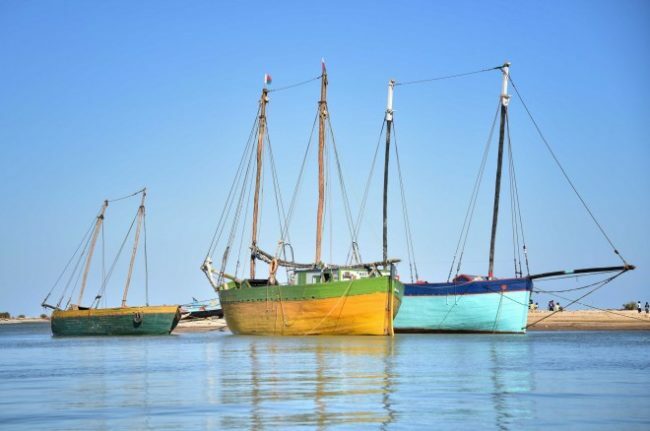 Image: "Fishing Boats, Madagascar" by Rod Waddington, CC BY-SA 2.0. Why is this approach to global climate change negotiations not working? Ota: In addition to setting agreements between countries, which is often difficult to achieve, this round of negotiations is trying to also add a bottom-up strategy. Each country is setting their own commitments before COP21. But the efforts are not enough to achieve the reduction we need. More work to agree on more ambitious emission limits needs to be done. Are ocean issues being properly discussed in these negotiations? Cheung: Historically, a lot of the discussions didn’t consider the oceans. 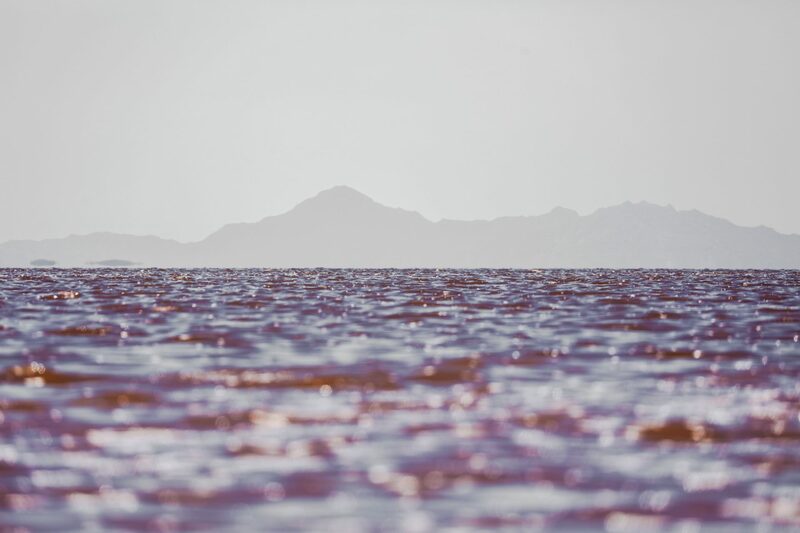 Recently, with the push from the NGOs, scientists and other stakeholders, the importance of the oceans in the climate change debate is more visible. Given the demands and services that the oceans provide — fisheries, marine life, carbon absorption, and cultural impacts — not achieving the targets will add to the costs of insufficient actions. "There are certain changes to the ocean that are irreversible because of climate change. If your children’s children can never see coral reefs or a beautiful ocean, that’s deprivation," says Yoshitaka Ota, Nereus Director (Policy). 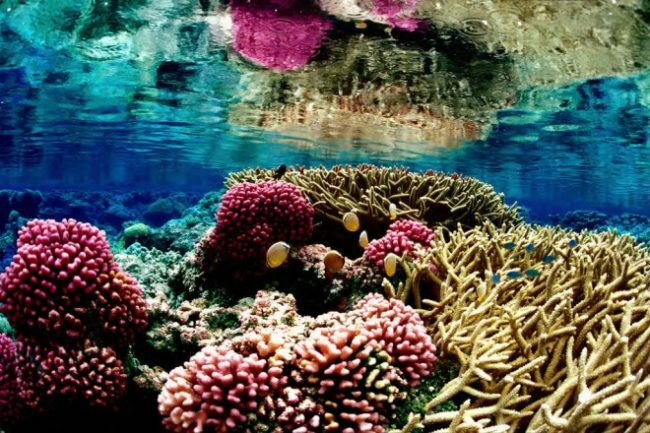 Image: "Coral Reef at Palmyra Atoll National Wildlife Refuge" by U.S. Fish and Wildlife Service, CC BY 2.0. What do you think the general public doesn’t know about climate change effects on oceans? Cheung: The global ocean has already done a tremendous service to us by absorbing 93% of the additional heat caused by these emissions since the 1970s. The ocean also has captured 28% of CO2 emitted from our (and our ancestor’s) activities since 1750. However, this is achieved with great costs. As the ocean absorbs heat and CO2, its ability to moderate more CO2 emissions actually reduces. Also, acidification, warming, and deoxygenation of the oceans impact marine organisms and ecosystem services. Without the ocean, the earth is not liveable. Ota: Our entire global environment and earth system is supported by the ocean. People with homes near the ocean are already moving because the sea levels are rising. But for many people, the concept of the ocean is that it’s far away and not their immediate concern. They think we will lose coral reefs and that the ocean will alter slightly. They think it’s a minor alteration and that we can rely on the ocean’s recovery capacity and its accommodating nature for it to come back. But there are certain changes to the ocean that are irreversible because of climate change. If your children’s children can never see coral reefs or a beautiful ocean, that’s deprivation. We shouldn’t create environmental injustice intergenerationally. How is the situation different for developing versus developed countries? Cheung: Marine areas that are more severely impacted by climate change both on land and in the oceans are in developing regions. For example, tropical Indo-Pacific regions, where there are many developing countries with a large dependence on fisheries resources, are projected to have a large decrease in potential catches because of climate change. Ota: The issue of oceans is quite holistic, because it includes both the environmental functions of oceans at the same time as the human dimensions. With this COP, we understand the impacts of climate change on human society. Almost every sector of our society will be negatively impacted. But there is also an important discussion that we need to have on equity and social justice. More vulnerable people are more susceptible to the impacts of climate change. Adaptability is more difficult in developing countries because they have fewer resources. The countries that rely on fisheries are not the big countries, and they are most affected by climate change. We have to share the burden, without making vulnerable people even more vulnerable. There are many things at play — north and south divisions, developing and developed divisions. Even within society, there are gender, indigenous and intergenerational issues. Our kids are going to be affected by and have to live with the results of these discussions and we need to show them that we can think beyond our own interests. If these negotiations are not successful in lowering CO2 emissions to a sufficient level, what else can be done? Cheung: Although COP is really important, there’s a lot of important work to be done afterwards. We have to monitor the commitments made by each country. There are bottom up changes like provinces, cities, and private sectors setting more ambitious emission limits than their countries have committed. There can be bolder changes in green technology and reducing emissions at individual levels. This creates an environment that pressures other organizations and cities to do the same. This can fill in the gaps at the country level that they may not be able to achieve at the international negotiations.